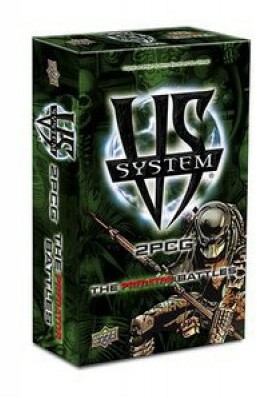 Vs System 2PCG: The Predator Battles is a 200-card standalone expansion for Vs System 2PCG card game that features new characters and card mechanisms from the Predator universe! Players can play as heroes such as Dutch, Harrigan, and their allies or as some of the most deadly Predator hunters in existence. This set contains new main characters, supporting characters, equipment, and more across two new team factions.